A triple suicide bombing on an island of Koulfoua in Lake Chad on Saturday killed at least 27 people and left more than 80 wounded, a Chadian security source said, in another apparent strike by Boko Haram Islamists despite of on-going regional offensive to stop the insurgency. Image Attribute: Lake Chad, which is the home to numerous islands and islets, is shared between Nigeria, Niger, Cameroon and Chad. Earlier this year, thousands of people fleeing the militant group sought refuge on the island. According to the UN Office for the Coordination of Humanitarian Affairs, over 50,000 internally displaced people have arrived in the region since late July. "Three suicide bombers blew themselves up in three different places at the weekly market on Loulou Fou, an island in Lake Chad," the source in the capital N'Djamena told AFP, speaking on condition of anonymity. The deadliest attack on Chad's side of the lake took place on October 10, 2015, another triple suicide, which killed 41 people at Baga Sola, according to N'Djamena. Since the start of the year 2015, the Chadian army has been on the front line of a regional military operation against Boko Haram, whose attacks have spread from northeast Nigeria, its traditional stronghold, to the country's three Lake Chad neighbors. The Chadian army has been engaged in a regional military operation against Boko Haram across the Lake. Chad as a country, seen as having the region's most effective military, has conducted air-strikes against the jihadist group in both Nigeria and Niger, and stationed its troops in the border areas around Lake Chad. Ten members of the Islamist militant group Boko Haram were executed by firing squad in Chad.It came a day after they were found guilty of terror charges at a trial in the capital N'Djamena. All 10 were convicted over their roles in twin attacks on the capital in June, which killed at least 38. 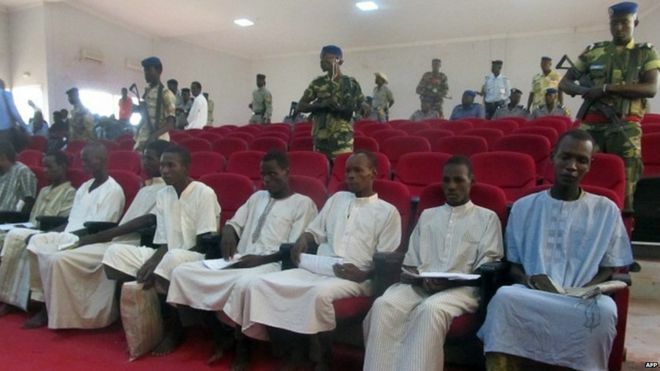 A month after the attack, Chad reintroduced the death penalty for acts of terror. 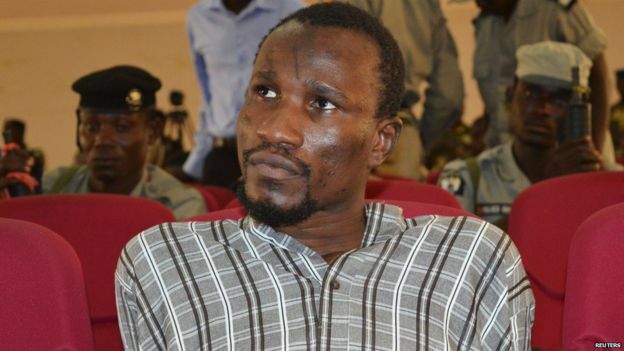 Among those to die was Mahamat Mustapha, aka Bana Fanaye, who had been described as the "mastermind" of June's attacks. The AU’s authorization of the MNJTF was requested by member states of the Lake Chad Basin Commission (LCBC) – Cameroon, Chad, Niger, and Nigeria – as well as by a non-member state, Benin, after a January 20, 2015 ministerial meeting in Niamey, Niger. It was agreed that the 8 700-strong force headquartered in N’Djamena, Chad, would be authorized to exercise a ‘right of hot pursuit’ on Nigerian soil. Agreeing on a concept of operations is considered a crucial step in obtaining the United Nations’ (UN) legitimization – and perhaps funding – for the MNJTF through a UN Security Council Resolution. However, since the inception of the MNJTF, Abuja has either diplomatically boycotted the initiative or maneuvered to ensure it would remain in the driver’s seat of any military endeavor. In addition to the difficulty of addressing such a multifaceted challenge, explanations for this behavior are to be found in issues of sovereignty, national pride and political image. Partners of Nigeria should keep these factors in mind when engaging the country on the question of Boko Haram. Clearly, the LCBC-led MNJTF, in its current configuration, needs more closer coordination to contain the regional expansion of Boko Haram; but it makes sense only if Nigeria fully plays its role in fighting the insurgency on its territory. In that regard, regional and international pressure appears to have triggered a long-awaited national response. As Nigeria and its neighbors prepare to undertake major military operations, it is worth mentioning that any long-term solution will require an approach that goes beyond security and military responses. Such an approach should also include development and policy responses that will make it more difficult for groups such as Boko Haram to tap into legitimate grievances of people in marginalized regions.